How Automation Is Shaping The Future Roads In The Smart Cities? Automation, robots, and artificial intelligence – there is an increasing buzz around the deployment of these marvellous inventions when we have already started envisioning a future that will witness a new dawn of human-machine relationship. On one side where people predict robots will conquer human jobs, on the greener side some anticipate the rise of high-skilled jobs for people. As a matter of fact, both the predictions seem to be coming true. Although robots are taking over the traditional human jobs, they are providing more advanced jobs for humans – securing safer jobs for us over a lifetime. The initiatives discussed further are a concrete evidence to the interestingly contradictory anticipations. Different smart cities around the world are collaborating with the automation industry to launch autonomous vehicles for various purposes. 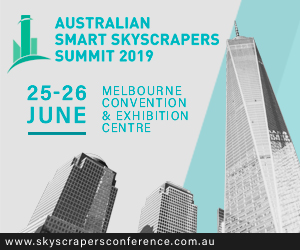 They are paving the way to a more efficient, secure and convenient urban landscape. Smart cities are working on introducing an automated trash removal system where the filthy job of picking up the trash will be done by an autonomous garbage truck while its rein will be in human hands. The autonomous garbage trucks will follow a route that is mapped in advance. They will be equipped with new laser sensors that will help them to see and navigate around the busy streets out matching the driving skills of most human drivers. Volvo Trucks is currently working on creating prototypes for an autonomous garbage pickup and disposal system. In Sweden, the company is experimenting with the self-driving system that is designed to help human do the job more efficiently and safely. The company has also developed mobile robots that can lift the trash bins all by themselves. Sidewalk Labs has suggested a new autonomous garbage system in Toronto that operates in underground tunnels. This system will reduce the traffic of garbage trucks on roads and even cut down carbon emissions. The arrival of autonomous vehicles has brought new job opportunities for the humans such as automation technicians and robotics technicians that operate and manage the vehicles. It has also eliminated the need for the hard manual labour that calls for trash hauliers to repeatedly climb in and out of the truck and pick up trash. Reportedly, hauliers have had to end their career due to workplace injuries. But now with the autonomous system in place, hauliers can have a better opportunity to support their careers in the long run. On the roads of Kivikko district of Helsinki, Finland, an autonomous bus is operating on a regular basis in the normal traffic. A French technology company Navya supplied the electric minibus to the Helsinki RobobusLine project. The minibus has already passed the trial stage by transporting a number of passengers. The Helsinki RobobusLine complements the Helsinki’s metropolitan public transit authority Helsinki Region Transport (HSL). Now, it is gearing up to become a commercially viable mode of transport in a time span of three years. The Helsinki RobobusLine project is exploring the serviceability and readiness of the automated minibus technology in the long run in real traffic conditions. As of now, the autonomous minibus will operate as per the schedule for a period of six months until fall 2018. The bus operates between 9 am and 3 pm, making 3-6 trips per hour. It regularly transports passengers from a Helsinki bus stop to a sports park. The minibus is serving the last-mile routes which are commercially not feasible by conventional bus systems. This initiative aims at providing an innovative platform for companies to promote a common interest in making the automated bus operation a commercially viable option for Helsinki. Furthermore, it aims at providing a last-mile service to citizens, carrying passengers from a public transit station to stops close to their homes and workplaces. While the project is in the testing stage, the user behaviour is being carefully studied. For instance, the project is helping in finding out that if people are getting an option for the last mile, how likely they are to choose the public transit instead of driving by private vehicles. Because lengthy distance is one of the main reasons people choose to travel by private vehicles. The Helsinki RobobusLine project is regarded as one of the smartest mobility projects going on in the city of Helsinki. Two of the main reasons are that the autonomous minibus is designed to reduce carbon emissions while increasing the use of sustainable public transport. 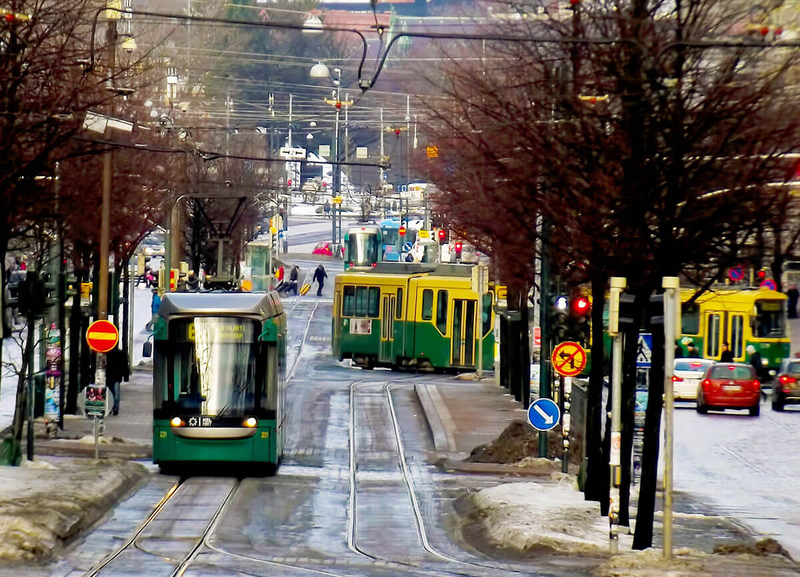 The city of Helsinki has already revealed it 2035 goal of becoming carbon neutral. While Helsinki Region Transport aims at eliminating the use of fossil fuels by 2021, the initiative looks ahead to fulfilling these goals. The Helsinki RobobusLine project is in line with the Sohjoa project that trialled two autonomous vehicles namely EasyMile EZ10 electric minibus in the public places of Helsinki and other cities of Finland in a span of two years. These days, when we talk about autonomous vehicles- self-driving cars, and buses are the only modes of transport that strike our mind. But the new entry of autonomous tram in the list of public transport is set to break these barriers. 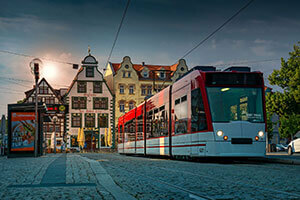 Siemens Mobility partnered with the transportation company ViP Verkehrsbetrieb Potsdam to roll out the research project on the world’s first ever autonomous tram. Between 18 and 21 September 2018, Siemens showcased the test run of the autonomous tram in real traffic on a six-kilometre section of tram network in the city of Potsdam in Germany. With this, Germany contributed to adding another breakthrough in the advancement of autonomous vehicles. The autonomous tram is integrated with camera sensors, radar, and lidar that enables the vehicle to navigate its way through the real traffic while surrounded by the real-life environment with unpredictable movements of pedestrians, cyclists and driving vehicles. For the tram to be commercially viable, it has to respond to an unpredictable situation faster than a human. For the same, the testing group moved a pram in front of the running tram. In response, the tram reacted instantly by applying brakes and continued its journey automatically once the pram was moved away from its route. The tram is empowered with a complex algorithms function that works like a brain, translating and evaluating data from the transient operating circumstance. This provides a forecast to the situation that is going to take place in the next, stimulating a suitable response by the tram. In other words, the tram reacts automatically to crossing pedestrians, vehicles or any other passing object for that matter. Going further, the tram is integrated with artificial intelligence power that facilitates it to respond to trackside tram signals and stop at tram stations. The advanced AI system integrated into the tram ensures as well as enhances safety in local and long-distance travel. The autonomous tram is designed only to be showcased at the world premiere of autonomous driving. This initiative was taken to identify technological and the real-life challenges an autonomous vehicle like tram has to face when operated in the real traffic. The result will help the team to develop more and test solutions that address these challenges. Autonomous vehicles are nothing but wheeled robots that are going to create hyper-connected cities in the future. These developments are definitely worth implementing, especially in smart cities and nations where the population is on a constant rise and job opportunities are wanting.